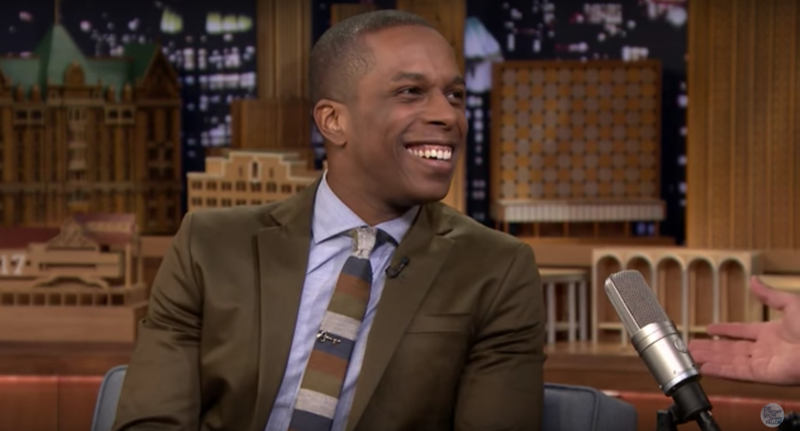 Hamilton is such a smash hit that late night king Jimmy Fallon recently told 2016 Tony nominee Leslie Odom Jr. that he wishes he could see himself in the production. The Broadway.com Audience Choice Award winner stopped by The Tonight Show on May 27, revealing that he was able to take in the tuner from the audience—and he almost witnessed a duel go down at intermission. Let's just say one celeb had to—erm—explain theater etiquette to another (one of them appears in this week's vlog, btw). He also dished on his pre-velvet smoke days as a young actor. Watch below!